With the worst of the heavy wet and windy weather behind us, homeowners in Huddersfield are now counting the cost of damage to their roof, if they haven’t already had to fork out for repairs. 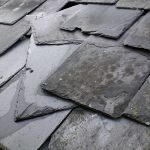 The torrential rain and strong winds have caused copious amounts of damage to the area, and Huddersfield Roofers are warning that the warmer weather could now highlight damage to your roof. You may notice parts of the wall, which were damp caused by rain water gaining access from the roof, starting to blow, as well as other signs of damage to the roof. This winter has seen lots of frost, but limited snow, but the process of freeze-thaw which happens every day can also caused damage to roof materials which can lead to more serious problems. Damage may be found around pipes, chimneys, the valleys of the roofs and in the gutters so it is worth checking your roof, whether commercial or domestic if you get the chance. According to leading experts when roofs become warm again they start to show signs of damage, an opinion echoed by our Huddersfield roofers. 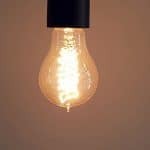 If you are checking the problem and have noticed something unusual or not quite right, it might be worth seeking professional assistance via one of our team. We have a cost effective pricing structure so that you can seek advice without having to pay over the odds and if you are worried can carry out a comprehensive survey for you, with recommendations on what work might need to be undertaken. 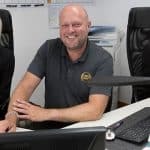 If you are considering repairing your roof yourself, DPR roofers in Huddersfield urge people to work safely and only try to carry out work if it is safe to do so. Please do not get on the roof if it is unsafe to do so. For more information or to get one of our team to attend to your needs, please call us on 01484 290087. We look forward to your call.